The Cilento is a cultural landscape that has blossomed in prehistoric times and the Middle Ages. Because of its geographical location, it played an important role in Mediterranean trade, culture and politics. Colonization by the Greeks started here in the 7th century BC, as part of the development of Magna Graecia (the towns founded by Greeks along the coast of South Italy and Sicily). Agropoli and Poseidonia were among these new colonies, later followed by Elea. Most of the towns and trading routes fell into decline after the region became part of the jurisdiction of Rome (3rd century BC). Only in the Middle Ages these revived, and castles and religious buildings were added to the landscape that is characterized by its east-west mountain ranges and favourable climate. From my hotel in Paestum, I explored this rather large area in two stages. 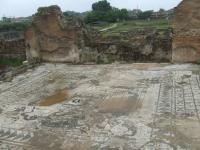 On the first day I visited the archaeological remains in Paestum itself. The ancient Greek buildings are in an unbelievable good condition. They are the best examples I've ever seen, they may even be the best around in what's left of Ancient Greece. The local museum is also worthwhile, especially to see the painted coffins like the Tomb of the Diver (as old as 480 BC). Two days later I got back in the car and criss-crossed the valleys. I had some trouble finding the places I wanted to see (that happens quite often), so I spent more time behind the wheel than I had hoped for. But I did reach ancient Elea, where the round Porta Rosa gate overlooks its surroundings like a medieval tower. 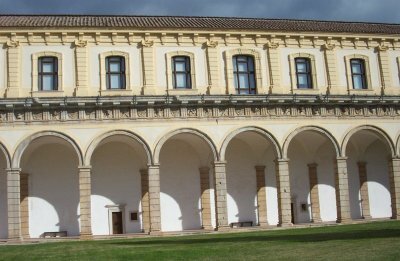 In Padula, on the other side of the valley, the San Lorenzo charterhouse is a mighty building. 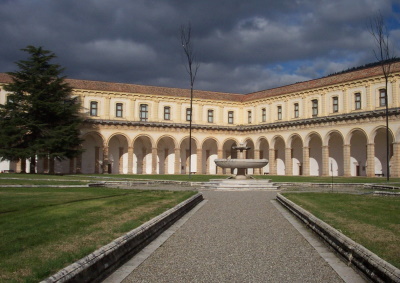 It shows a far more recent episode in Cilento's history: the design is mainly Baroque. 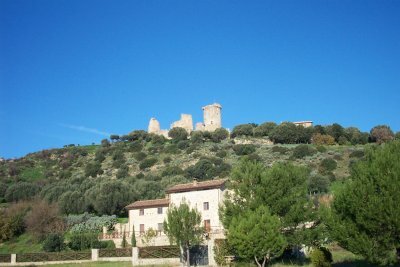 The city of Padula itself is strategically built on a hilltop, which you see quite often in this region. Roccagloriosa and Roccadaspide are two other good examples of these medieval building tactics. I visited this WHS in November 2018 staying overnight in Paestum. 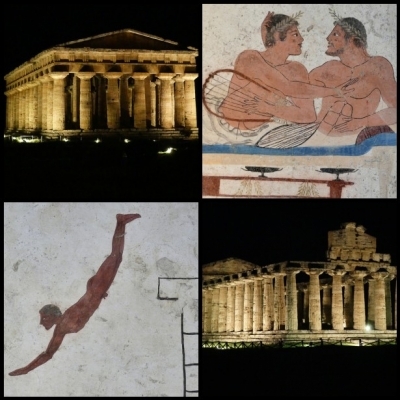 The long opening hours even in Autumn mean that you can time your visit in a way that it gets dark by the time you exit the archaeological site of Paestum and the three main temples are lit up (top left and bottom right photos). You can also revisit on the same day if you stay overnight and if you love buffalo mozzarella cheese and mozzarella in general you'll have a feast when in the area. The Greek temples of Paestum are really striking in size and detail and are comparable to the inscribed ones of Agrigento are other ones in Sicily (Segesta or Selinunte). Unlike, Agrigento you can still walk 'inside' the roofless temples to get a closer look at the architecture. It's incredible that these ancient buildings stand tall and mighty while the rest of the 20th century towns and cities nearby are mostly crumbling! Apart from the largest and most impressive structures - the Temple of Neptune, the Basilica and the Temple of Ceres - there are other interesting things to see such as the heroon, the ekklesiasterion, the amphitheatre and also the high city walls which are one of the best preserved defensive walls in Magna Graecia. The museum is really worth visiting and included with the entrance ticket. Just in front of it is a white marble UNESCO plaque on the Paestum part of this WHS which is quite easy to miss. Inside, among the rich finds from the archaeological site, the highlight is definitely the Tomb of the Diver (top right and bottom left photos) which in a way reminded me of the similarly colourful Etruscan tombs of Tarquinia. Other interesting artefacts worth mentioning are the stone metopes, the painted amphorae and the colourful painted terracotta features from the temples. If you have more time to spend, you can also buy the combined ticket to visit the Velia archaeological site, mostly for its interesting mosaics where there is another UNESCO plaque for this site and drive further south to the monastery of Padula, where there is another UNESCO plaque for Cilento (at Castellabate). I think that these other locations add nothing to the inscription of the outstanding Paestum and are quite confusing as a far-fetched attempt to portray the continuous cultural landscape of Cilento and Vallo di Diano. Paestum is the most underrated place I visited so far on my various trips to WHS. The three temples, especially the Apollo temple, are outstanding. No other Greek or Roman temple I saw so far can match them. Paestum together with Velia would deserve a separate WHS instead of being tucked together with the rather unspectacular villages and places that are included in the same world heritage site. This site covers a huge area, including a wealth of coastal, rural and mountain scenery. Besides this I took trains to find the ancient Greek enclave of Velia (near Ascea station) with its mosaics. 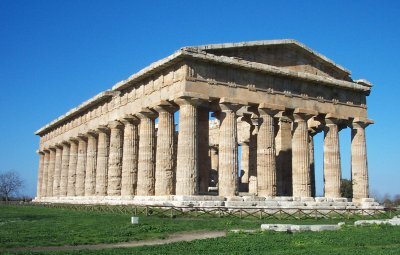 I then returned to Paestum (which has its own station) to see the statuesque temples of Athena, Neptune and Hera, all reminiscent of Athens. Trenitalia runs a bus service from Battipaglia down the Vallo di Diano to Padula which I took to visit the huge San Lorenzo monastery. Archaeological 'Type Sites': The Gaudo Culture is a late Neolithic culture in Southern Italy, primarily in the region of Campania, active at the beginning of the 3rd millennium BC, whose typesite necropolis is located near Paestum, not far from the mouth of the river Sele. Secret Locations: Castelcivita Caves were probably used as a hiding place for Spartacus' rebels army. Cultural sites rejected for Natural criteria: Initially nominated as a mixed site but rejected for natural values (1998 Bureau Ordinary Session).